As part of its 50th anniversary celebration, KEF has introduced KEF 50 Years of Innovation in Sound, the definitive study of KEF's first half century. Co-authored by former KEF engineer Dr. Andrew Watson and audio historian Ken Kessler, the elegant, 216-page hardbound book covers the period from KEF's founding in 1961, through the release of KEF Blade in 2011 in a story told by over 30 KEF employees and associates. • See related stories in our Floorstanding Loudspeaker News section. KEF 50 Years of Innovation aggregates thousands of never-before-released printed materials, photos and company records with over 60 hours of interviews with individuals who helped shape the KEF brand. 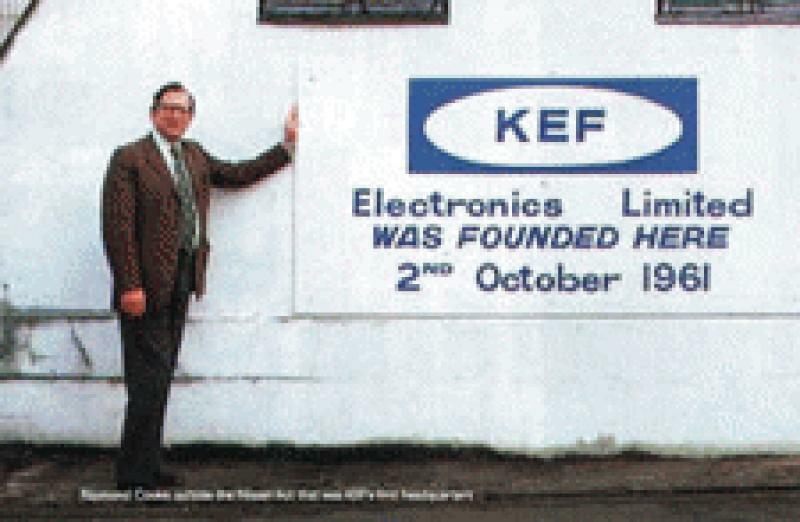 Current and former staff members contribute their recollections to recount the entire span of the company, from it's beginning in the form of Kent Engineering and Foundry, which gave the fledgling loudspeaker brand its name. Newly-captured images of classic KEF models and series and comprehensive listings of every product produced by KEF, including every drive unit, make this the most authoritative reference work an audio enthusiast could desire. KEF 50 Years of Innovation is available for purchase through authorized KEF retailers, including Music Direct, with a MSRP of $89.99. For more information on KEF's 50th Anniversary celebration, visit www.kef.com/thefifty/.